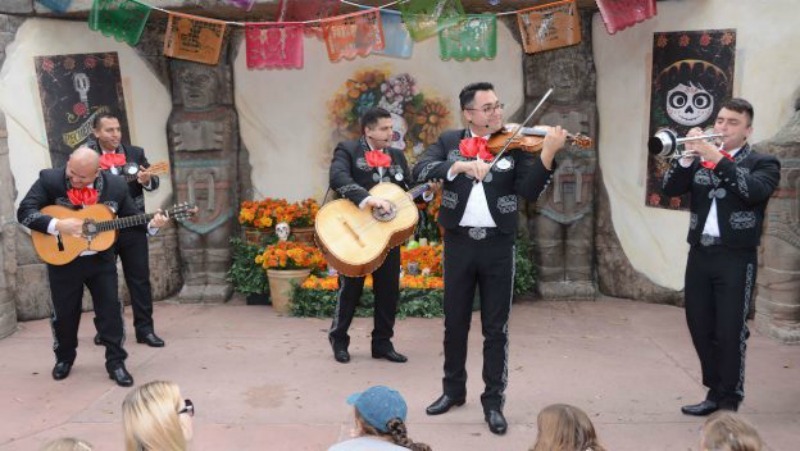 Earlier this month, we shared details on the Disney•Pixar Coco inspired Mariachi group, El Mariachi Coco de Santa Cecilia, who made their debut last week in the Mexico pavilion at Epcot. Now that Coco is playing in theatres, the Disney Parks Blog has shared that they will be adding a new musical experience to the Mexico Folk Art Gallery which currently displays a collection of Dia De Muertos artwork. The interactive exhibit will showcase various scenes from the blockbuster hit using festive dioramas.